Costs – Do you own one of the 3.4 million trees in Milwaukee, Wisconsin? Do your part to keep that sprawling population alive by maintaining yours. We have all the statistics you need on maintenance and removal costs. 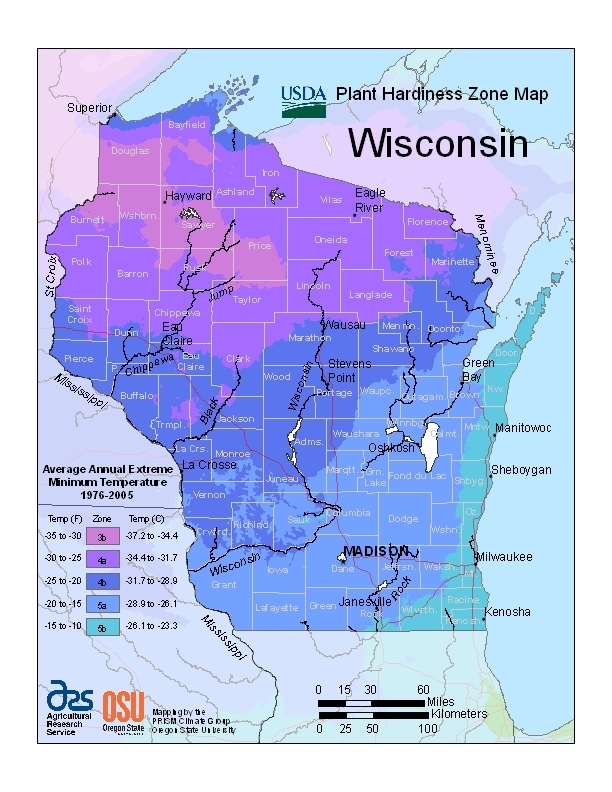 FAQs – Learn more about the 49 species of trees thriving in Milwaukee, what doesn’t thrive so well there, more on what to plant, regulations regarding trees and power lines, plant hardiness by zone in the state, and what the tallest tree used to be in the state. Services – Talk to one of the specialists in your area who helps to keep more of those 3.4 million trees alive every day. He’ll know what to do to keep yours alive and thriving, too. How Much Do Tree Services Cost in Milwaukee? Milwaukee, Wisconsin has 3,377,000 trees in its urban area alone. These trees help to keep pollution down, save hundreds of thousands of dollars in energy and keep carbon emissions down for residents. Keep your part of that 3.4 million alive by taking steps to maintain it. Although Milwaukee is dedicated to keeping its trees alive, sometimes the best course of action is taking one of those trees down, especially if they interfere with power lines, construction, or the safety of a home. When a tree service professional comes out to take down the tree, they’ll look at the density of the tree, the height, any danger concerns associated with cutting it down that might require advanced preparation, and if you need more than one taken down. Costs in the Milwaukee area range between $371 to $517, with an average quote of $444 for homeowners to expect to pay. Stump removal will cost Milwaukee residents between $100-150 and take about an hour for the professionals to pull out of the ground or grind down to wood chips and haul away in their truck. Keeping your trees in good condition in Milwaukee will cost residents less than taking them down and will preserve the city’s green canopy. Residents will likely pay between $100-200 for tree service professional trimming and pruning services, depending on the number of trees on their property and their type. Milwaukee is home to 49 tree species and has been named a Tree City USA before because of its dedication to maintaining its green canopy. Learn more about the trees it maintains and what you as a resident can do to be part of Milwaukee’s green ecosystem. The state tree of Wisconsin has been the sugar maple (Acer saccharum) since 1949. 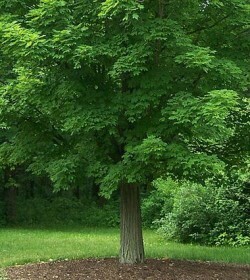 Also known as the hard maple or rock maple, it is used to make maple syrup. Sugar maples don’t usually flower until they reach 22 years of age, but they can also live until 300 or 400. In Milwaukee the best time to trim or remove trees is when the tree is dormant, during late fall to early spring. Since the tree isn’t growing, making any changes or removing it entirely will be less hard than doing it during late spring or summer. Milwaukee can also support a lot of fruit tree types. Some of those include pears, apples, plums, peaches, and cherries. While 49 species thrive in Milwaukee though, some do not. 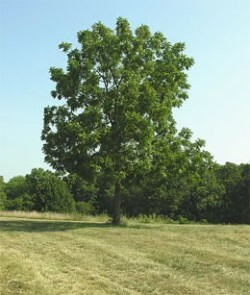 Ash (Fraxinus) trees, for example, are hard to maintain because of the invasive emerald ash borer, a green beetle from Asia and Russia that attacks ash trees and kills them. Also quaking aspens (Populus tremuloides) are hard to maintain because they are also prone to disease and infestations. Milwaukee has several diseases that occur regularly on its many varieties of trees. Apple scab is a fungus disease that attacks apple trees in Milwaukee and hurts the apples they produce. Canker disease is another infection on aspen trees that causes their bark to have sunken holes. Tar spot disease was discovered on maple trees not too long ago in Milwaukee and seems to only be a cosmetic disease rather than an actual infection. Dutch elm disease is also common in the area, attacking American elms and destroying them. Oak wilt can also occur in Milwaukee oaks, if they are pruned badly, causing them to wilt and eventually die. According We Energies, the utility company in Milwaukee, residents must contact them via an online form below or by phone if they want to remove a tree within 10 feet of a power line. It is required by state law. Residents are also responsible for trimming trees to prevent them from growing into service lines. They have a tree contractor trim your tree only to make it safe if poles are involved in the issue.